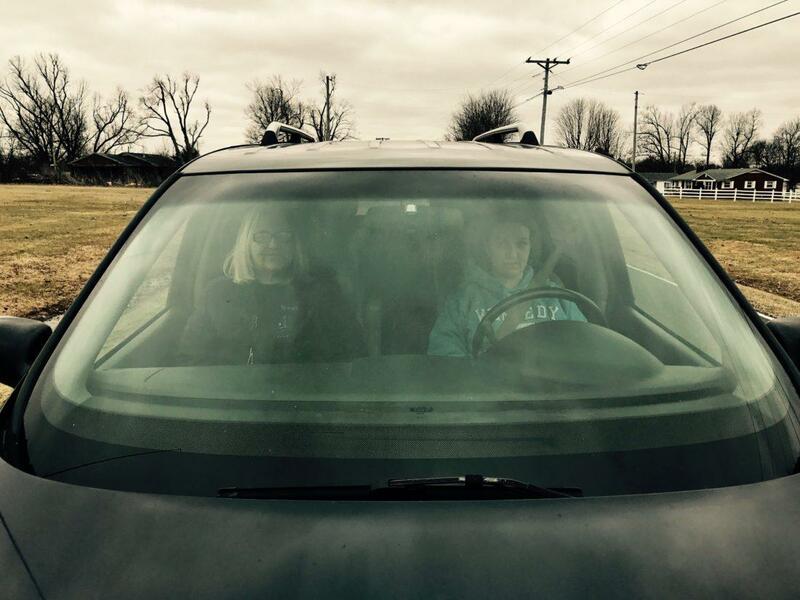 Heather Adams and Gloria Hollifield waiting to pick up their children after the shooting. There is another parallel to the Marshall County High shooting. Adams was waiting anxiously to pick up her children, a 15-year-old and a 10-year-old. Both were safe and so she could relax enough to talk a bit. Earlier, she was at the high school with other frantic parents looking for answers about their children. Adams said she was with the shooter's mother earlier in the day. Kentucky State Police have not confirmed how the shooter obtained the handgun used at the school. But if Adams’ account proves accurate, it fits a strong pattern. A 2004 report by the U.S. Secret Service and the Department of Education found that over two-thirds of students who used guns in violent acts at school got those guns from their own home or that of a relative. That’s why many states have some sort of child access prevention law to encourage the safe storage of firearms and make adults liable if children get access to guns. Kentucky, Ohio and West Virginia do not. Under Kentucky law there is no requirement for secure storage of weapons, and adults are liable only if they "recklessly provide a handgun" to a minor they think might use it illegally. Marshall County High School, in Kentucky, was the scene of a shooting that left two dead. Many of the laws have been in effect long enough to give researchers time to assess their effectiveness. A 2000 study, for example, found that Florida’s law, which carries some of the stiffest penalties for not securing a firearm in the presence of children, to be especially effective, cutting accidental child deaths from guns in half. A 2005 study found such laws in 18 states helped decrease gun injuries among minors by about a third, and a 2013 study supported the findings that child access laws help reduce gun injuries among children. Another study from 2004 showed the laws also helped decrease teen suicides by more than 10 percent, likely saving more than 300 lives over about a decade. Other studies showed mixed results but the scientific literature is clear on one thing: American children face a substantial risk of injury or death from firearms. Researchers in the field say more thorough study has been hampered by political pressure by gun rights groups to block funding for research by federal agencies such as the Centers for Disease Control. 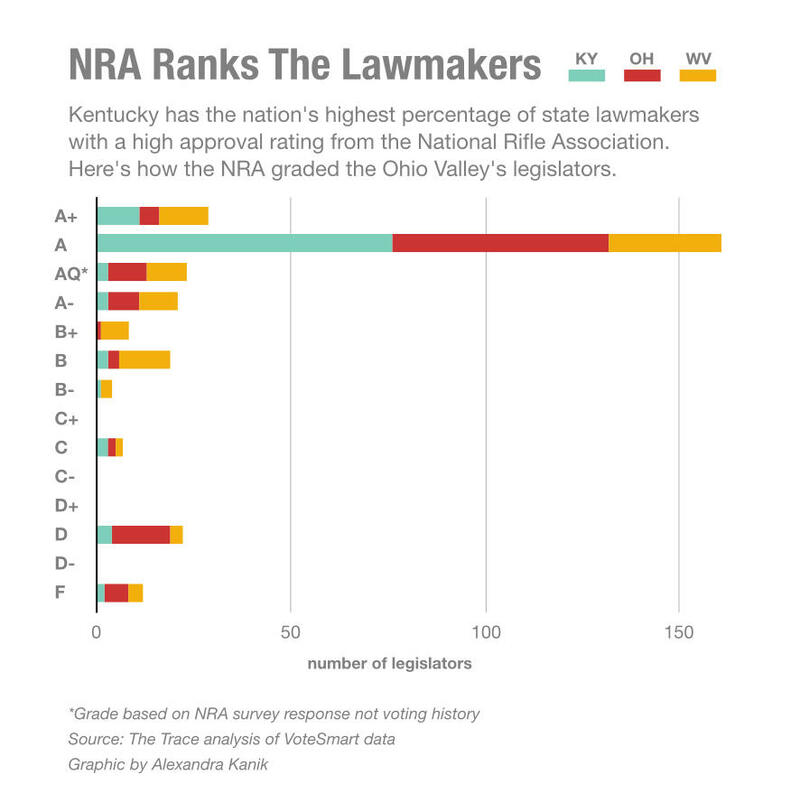 An analysis of the NRA’s recent lawmaker conducted by The Trace, a journalism nonprofit covering gun violence, shows Kentucky has the nation’s highest percentage, 88 percent, of legislators who got at least an A-minus grade from the NRA. In Ohio, 67 percent of lawmakers got As; In West Virginia, about 60 percent. Gun culture is strong in this part of the country. But even among some gun owners and Second Amendment advocates, secure storage of firearms is a topic that resonates. Connie Coartney, of Crestwood, Kentucky, is a volunteer with the Kentucky chapter of the group Moms Demand Action for Gun Sense in America, which advocates for secure storage of guns and background checks on gun purchases. She says she finds a lot of common ground with gun owners around the state, including some who are members of her group. Missy Jenkins-Smith, of Murray, Kentucky, is another member of Moms Demand Action. She is also a survivor of a school shooting, which killed three students and left her paralyzed from the chest down. 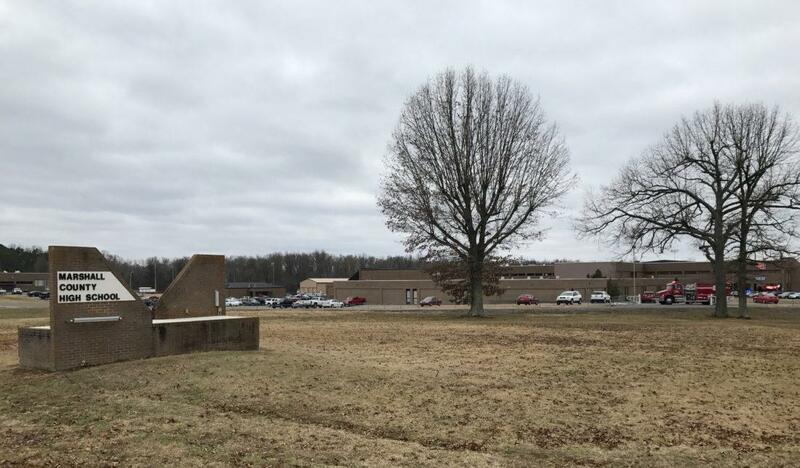 Just a month before the Marshall County High shooting Jenkins and others marked the 20th anniversary of a shooting at Heath High School in Paducah, just about 30 miles from Marshall County High. Jenkins said the news of the Marshall County shooting hit her hard. “All of the sudden it was like my entire body kind of felt weak, like I had the flu or something,” she said. Today, Jenkins also works as a counselor. What she’d like to see now is community support for the victims. There is another parallel to the Marshall County High shooting. The student who shot Jenkins and others 20 years ago had easy access to the guns in a neighbor’s garage. 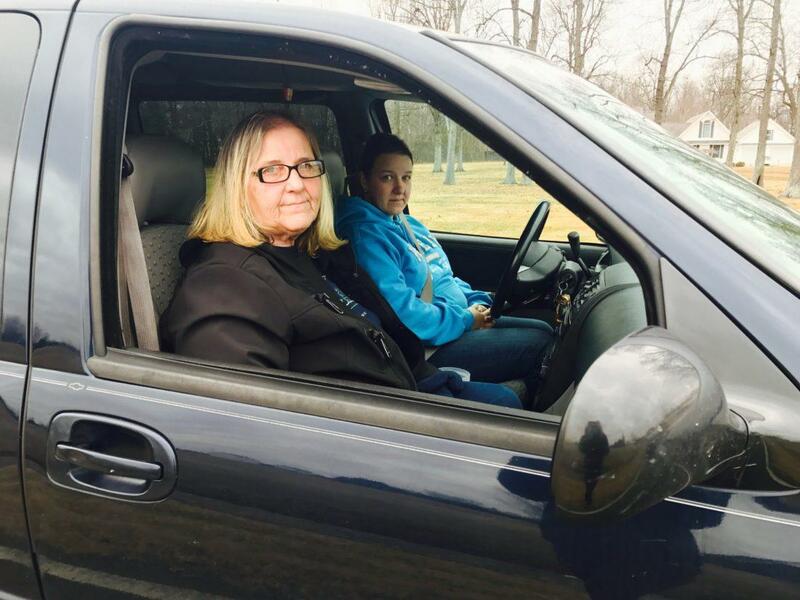 Heather Adams, sitting in the car waiting to pick up her children at the Marshall County schools, said she supports the rights of gun owners. She also thinks those gun owners need to secure the guns. WFPL reporter Ryland Barton and ReSource reporter Aaron Payne contributed to this story. CLARIFICATION: This story was modified on Jan. 25, 2018, to add information about Kentucky law and to remove a reference to the number of states with laws regarding safe gun storage.